Health & BeautyIHS Omega 3 - 90 kaps. 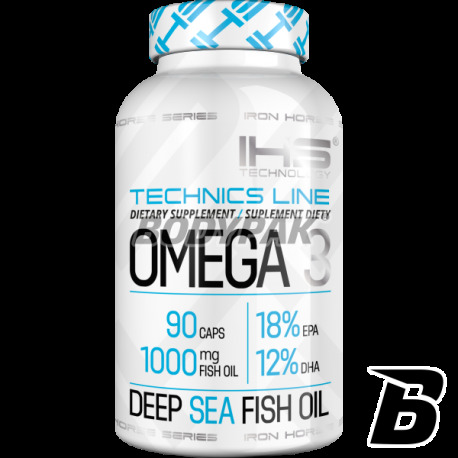 IHS Omega-3 - prevents cardiovascular disease, lowers triglyceride levels and supports the work of the nervous syste. 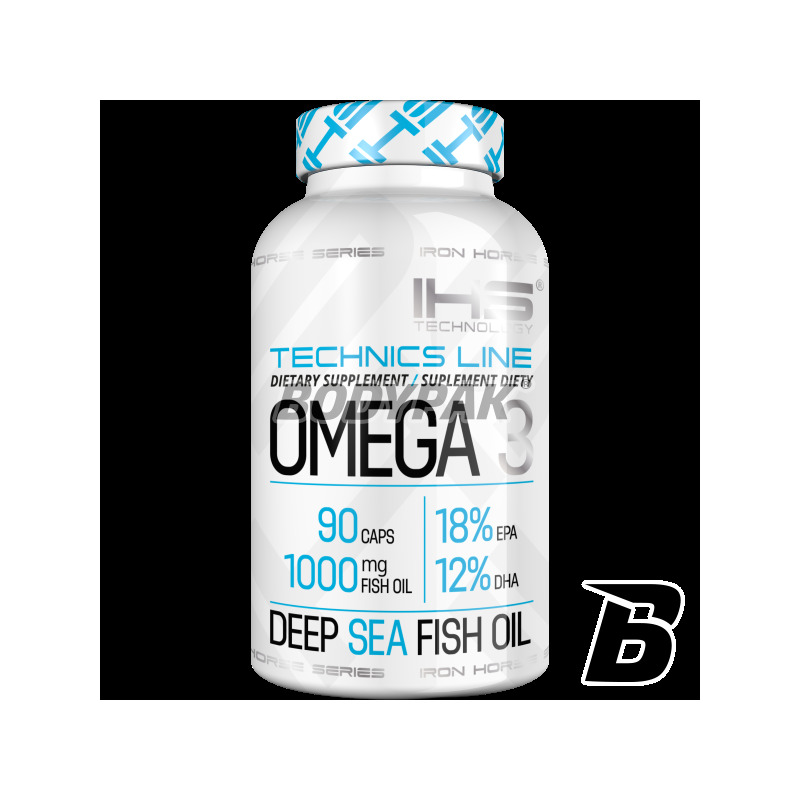 In the preparation of Omega-3 essential polyunsaturated fatty acids omega-3 are involved in many important body processes and are a valuable source of energy. Horse Omega 3 are involved in many important body processes and are a valuable source of energy. Our diet is often deficient in fish products, and this one is the most valuable of these fats. They are a rich source of fish such as cod, mackerel, herring, salmon, sardine Sprat, as well as seafood, caviar, walnuts, sunflower seeds and soybeans. Inclusion in the diet of these products is particularly important because the human body does not have the ability to synthesize fatty acids EPA and DHA, and they are also essential to the proper functioning of the circulatory system. Omega 3 protect against heart attack, atherosclerosis and strokes. They act by preventing the adhesion of the anti-platelet and processes leading to the formation of plaque. Capsules prophylaxis are also recommended to lower LDL cholesterol, and at the same time increasing the HDL. Nie wiem czy to zludzenie, ale biorac przed snem mialem duzo lepszy odpoczynek i latwiejsze zasypianie. Najlepiej brac po obfitym posilku, takim ktory latwo "przelatuje", wtedy sie nie odbija, nawet biorac 2-3 tabletki na raz. Polecam. Dobre omega po których się nie odbija okrutnym smakiem. Bardzo dobra cena i świetna przyswajalność - polecam! Ze wszystkich kwasów Omega-3 ten jest działa na mnie najlepiej. No i jeszcze ta cena. Olimp CARDIOchol - 30 tabl. High-quality protein supplement, which can be successfully used during the day and immediately after exercise. Provide excellent building blocks for your muscles!